The statue that was called ‘The Crusader’ stood at one corner of the Clarendon building on the corner of a small wall that overlooked the playing field. It was still there just before the building was demolished. 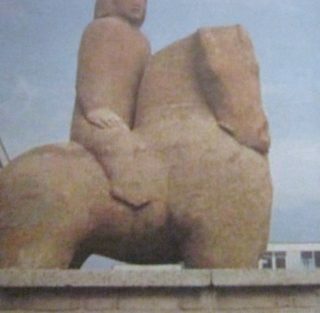 Does anybody know what it origins were and what happened to it as it was quite a sizeable statue ? This page was added on 25/08/2012. Does anyone remember when a sanitary towel was looped over the crusaders head, and Mr Stewart was not impressed?